DAVID LE/Staff photo. 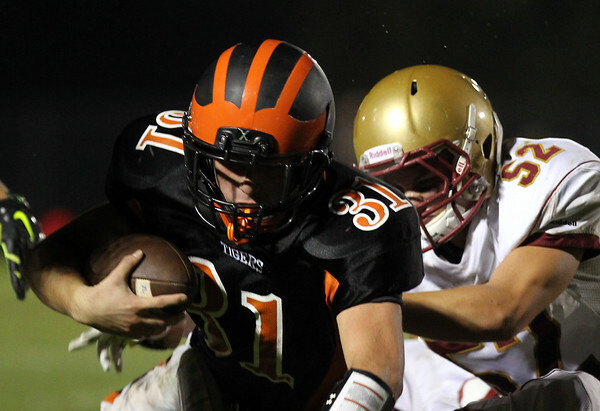 Ipswich junior running back Charlie Gillis (31) plows forward against Newburyport. 9/18/15.